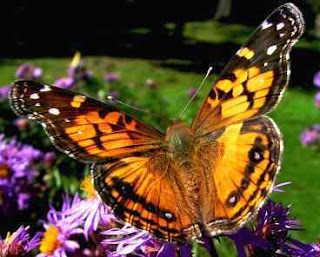 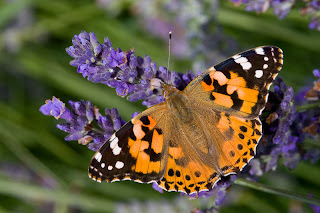 The Cynthia group of colourful butterflies, commonly called painted ladies, comprises a subgenus of the genus Vanessa in the Family Nymphalidae. 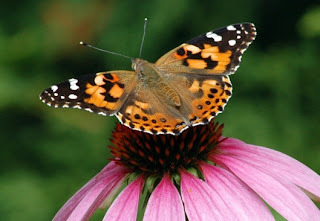 They are well known throughout most of the world. 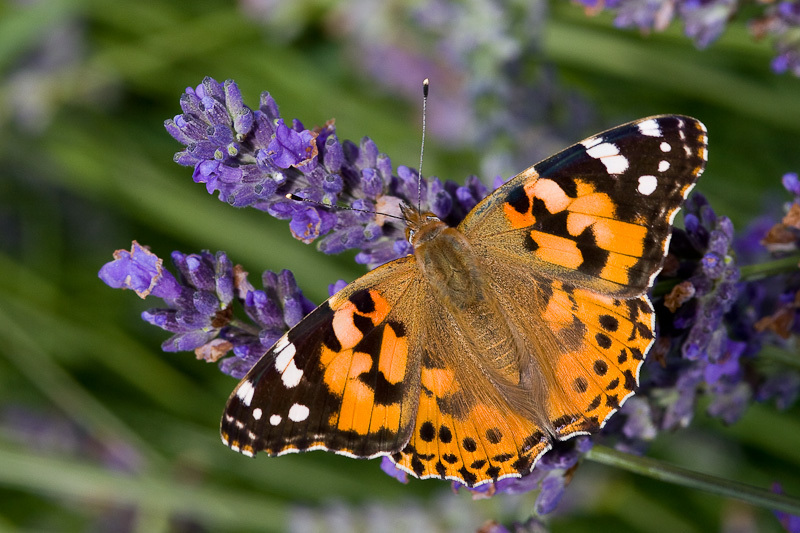 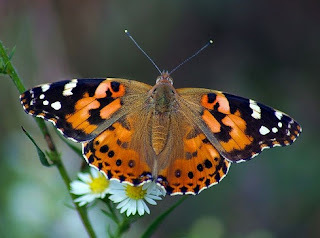 In general, the Painted Lady is a large butterfly (wing span 5–9 cm (2.0–3.5 in)) identified by the black and white corners of its mainly deep orange, black-spotted wings. It has five white spots in the black forewing tips and while the orange areas may be pale here and there, there are no clean white dots in them.